Why Business Mobility? Designing for tomorrow. AlphaGuide is available now in multiple markets. Download it here. Meet Jasmin – she’s a 28-year-old sales rep from Munich. She spends most days driving her company car, visiting customers and selling her company’s products including medicines, prescription drugs and medical equipment. Business mobility, the industry term for travelling for business purposes, currently comprises of mainly car leasing and fleet management services. The market is expected to grow at a CAGR of 21 percent from 2015 to 2020, and as the boundaries between fleet and travel management blur, we’re already seeing business mobility begin to go beyond its conventional definition. 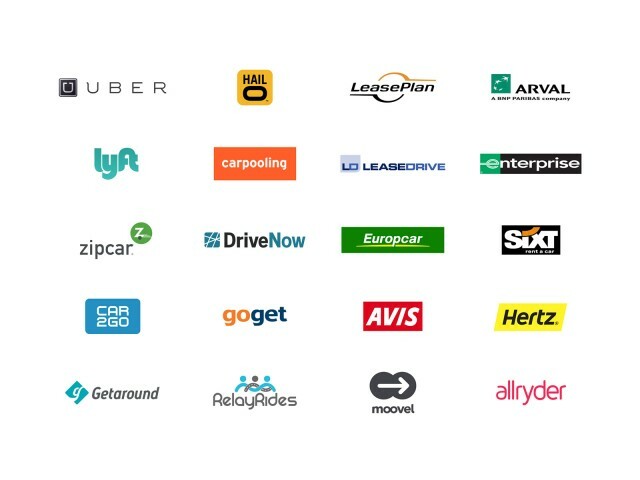 Car sharing, B2B to B2C or even P2P solutions, as well as new services like Uber, Lyft, Zipcar and Car2Go are taking over large parts of the market. This, combined with new technologies like autonomous cars and wearables, means the future of mobility will be exciting. Over the last year, we’ve been working as partners with Alphabet – originally the fleet management subsidiary of the BMW Group and now the global leading provider of business mobility. (Yes, the company who really owns the now world-famous Alphabet.com domain if that rings a bell).Alphabet came to us to rethink their mobile offering, not only in terms of design and technical functionality, but also its value proposition as the market is in rapid change. Looking at the competition, we knew there were a bunch of features that could certainly help their conventional business – the ability to find nearby car services, damage reporting and mileage tracking, for starters. However, we didn’t want to rush into implementing these features just to compete with other players. Instead we started the process with a simple question – why? 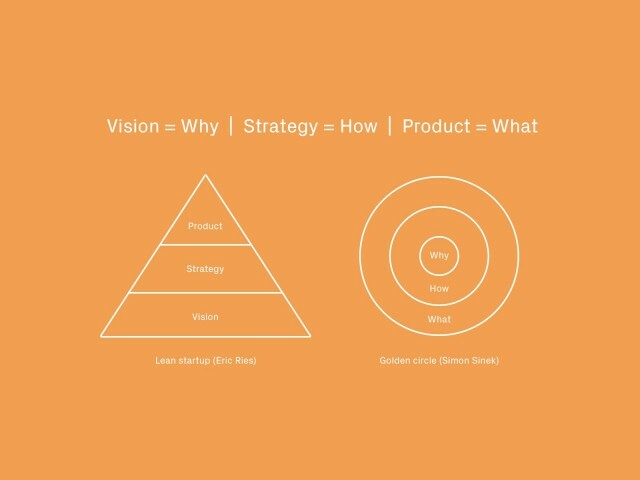 I’m a big fan of ‘The golden circle’ theory, popularised by Simon Sinek, and also the idea of connecting it with Eric Ries’s Vision-Strategy-Product pyramid. First, you start by clarifying WHY you’re doing the business/project, then figure out HOW to realise the vision, and finally identify WHAT to build in order to execute the strategy. This approach helps you focus on which problems or needs should be addressed first, rather than jumping on the ‘genius’ solutions that you’ve already fallen in love with. Doing the latter means you’re taking a huge risk attempting to solve the wrong problem and building something nobody wants. 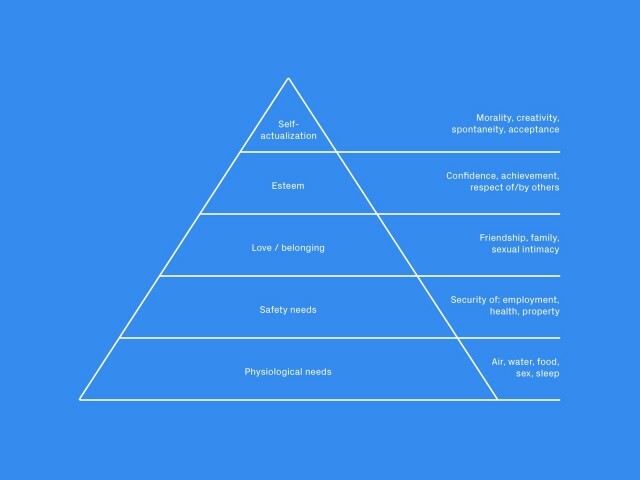 Asking ourselves ‘why’ helped shift our attention away from a list of features to focusing on the fundamental customer needs that the company strives to fulfil. Does she drive a car just to be able to change tyres, report damage, or even return it when the contract runs out? No, she drives a car because she needs to travel from one place to another to do her job. That’s why she hires a car, as Clay Christensen would put it. Create a seamless mobility experience to empower our customers. Ultimately, Jasmin shouldn’t (or actually doesn’t) care if she drives or uses any other means of transportation like train, bus, taxi or even a bike. Alphabet is aware that she just needs to get there in the best possible way. So, what is the best possible way? Let’s go back to Jasmin’s story. Remember she was checking her appointments, driving directions and making sure that she wouldn’t be late? What if she simply didn’t have to do any of these things? What if the app is connected to her calendar, tells her what time to leave for each appointment, complete with driving directions, and informs her about delays? What if it even suggests other means of transport based on her location, travel time, cost or experience and provides real time traffic and weather information? Maybe she wants to get an Uber when she’s off to meet up with her friends at a bar? So, that’s what we need to build for – a smart, contextual, simple and beautiful companion app that works just like magic. After all, business mobility should be more about moving, and less about waiting. We’re still at the beginning of our long journey to reach this vision, but we’re starting with a significant step forward which we know will help accelerate our learning process. While we’re very excited to not only see but also learn more from how customers perceive and use our new solutions, another important thing that we can’t forget while designing for tomorrow is, well, today! You can’t skip today and start tomorrow right away. There must be a smooth transition, as people normally don’t like change. Today Alphabet provides over 600,000 cars in Europe, helping a huge number of business people on a daily basis. In order to advance business mobility through Alphabet, we have provided some of the most demanded features for car services in the new app and will be adding more to help increase operational efficiency. Don’t be fooled by your competitors, ‘cool’ trends or even new technologies. Start with why, identify your ‘real’ needs, design for tomorrow and then balance it with today. In the end, it’s all about people. People will still be people tomorrow. Human needs don’t change, but the ways we address them do. 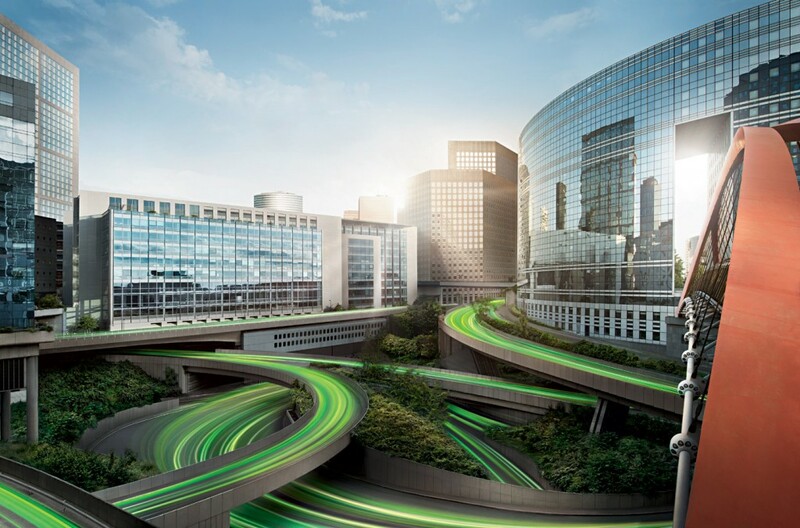 Our need to get from point A to point B has always been there, but we invented better solutions over time – from foot to horse, train, bike, car, Segway, Uber, autonomous cars and who knows what the future has in store for us. Jasmin drives back home from Hamburg after a long day of customer meetings. She and her husband Jack begin preparing dinner, do household chores and plan their week’s grocery shopping. She puts her phone in her bag and enjoys a nice dinner with Jack, confident that tomorrow - her new business mobility companion will guide her wherever and whenever she needs to go.